NPD offer you a chance to use our own platform to market yourself directly to potential customers coming to your area. In 2010, we launched our Perfect Days Out leaflet. The leaflets have been a renowned success, with pick-up of Compilation leaflets out stripping generic leaflets in the majority of cases. The Perfect Days Out leaflets are perfect for any business wishing to advertise further afield than their current distribution budget allows. 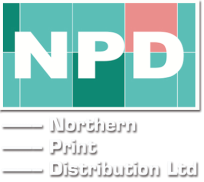 Perfect Days Out distributed a maximum of 225,000 copies of each leaflets through NPD's geographical area. Each leaflet is targeted to a 120 minute drive time of its areas, with a focus on the motorway service stations and the primary roads and rail routes leading into the area. That translates to 250,000 potential new visitors heading your way. Complete the online or downloadable PDF form to book your adverts by 14th December 2018 to avoid disappointment. Please return any printed entry forms to: either our Kirkby Lonsdale or York Depots at addresses below.